Please add this to your gallery. I am so happy with my rear RR46C02 wheel on my Allied Cycle All Road. I wish I could afford the front wheel but not just yet. 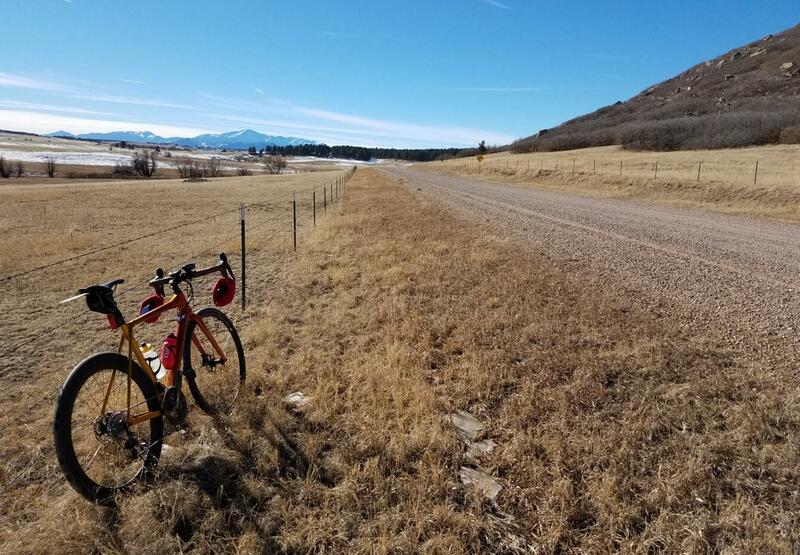 This photo is from last Saturday Jan 2019 on a lovely gravel road North of Colorado Springs, Colorado USA. So far 200 miles on this rear wheel and it is just great. Thank you Light Bicycle, you make cycling even more fun!